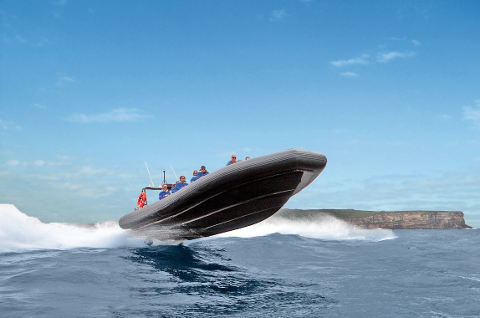 Why not hire the whole boat to yourself for an extreme Bondi Bash Offshore Thrill Ride. Private Bondi Bash Thrill Rides are available for groups from 1 to 21 passengers. We can also pick you up and drop you back to virtually any wharf in Sydney Harbour. Perfect for Corporate Activities, Team Building Events, Birthday Parties, Bucks/Hens Parties etc. 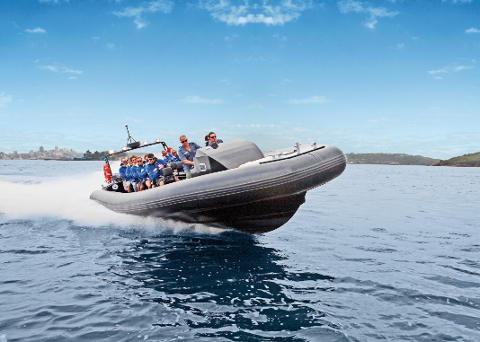 You’ll be taken at high speed out of Sydney Harbour and down the coast to Bondi Beach at speeds of almost 100kmph. The swell can get quite big off Sydney so this is not for the faint of heart. 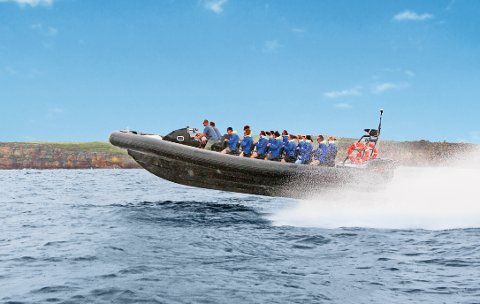 We are proud to be the only offshore adventure company in Sydney.